BlackBerry is finally official, and set to go on sale at AT&T starting today. The handset is also set to launch in other global markets as well. If you’re based in the UK and want to get your hands on the Android-powered BlackBerry Priv, you can pick up the handset either from the company’s online store or Carphone Warehouse. 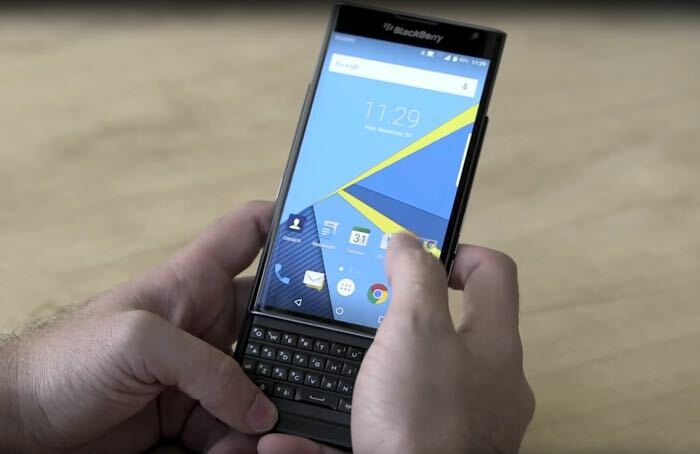 Shop BlackBerry website is taking pre-orders of the handset with a shipment date expected to be November 9th. It’s not just the company’s online store, Carphone Warehouse has the exclusivity to sell the BlackBerry Priv in the UK, but if you order it from the retailer, it may take a few extra days for you to receive it as they are expecting the shipments to commence by November 13th. As far as the pricing is concerned, the handset carries a £559.00 incl. VAT for the SIM free version, but users can also get it on operator contract from the retailer as well. The handset boasts a 5.4-inch display with a resolution of 2560 by 1440 pixels, a hexa-core Snapdragon 808 processor paired with 3GB of RAM and 32GB of internal storage. There’s a microSD card slot which supports up to 200GB of expandable memory. Other features include an 18MP main camera for photos and videos, 2MP front-facing camera, a 3,410 mAh battery and ships with Android 5.1.1 Lollipop as its operating system. Anyone interested in picking up the Android-powered BlackBerry Priv? Sound off in the comments below.